The pack territory has a large lake, with several rivers branching off going through the territory. 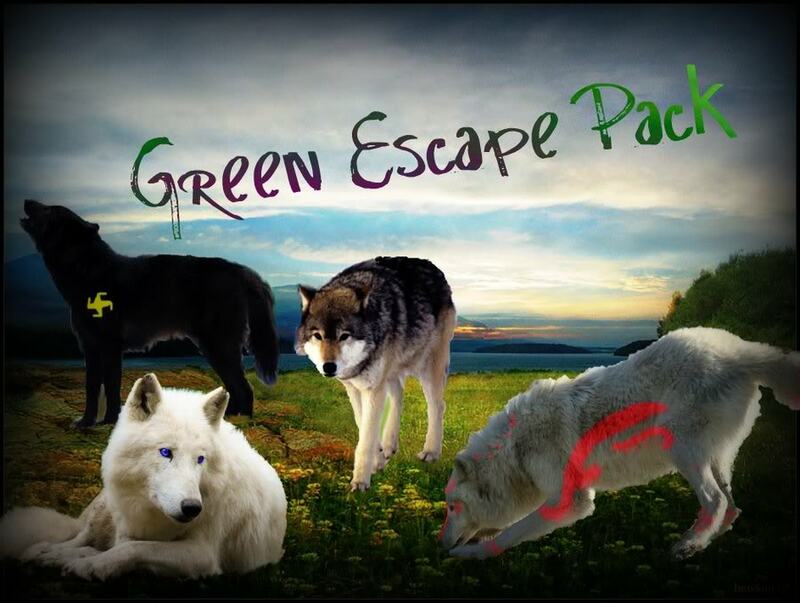 The den site of the Green Escape pack are large and well constructed. The Dragga and Drappa have a large stone den, and the beta's a smaller dugout. Other members of the pack, don't have a den, but sleep in the forest under the stars. Food is plentiful in the pack lands. Elk, and deer are plentiful all year round due to the stable climate. Hares and other small prey are also plentiful. The only natural predators to the pack are ocasional bears, which are harldy seen. Dangers are bountiful for the pups, eagles and cyotes are big threats. As long as the pups are being watched and don't venture to far, they should be fine. I ran around the new territory. I was happy to be free of the horrid hold of life. I was a wolf, not a god, and it was gonna stay that way. I ran, my tounge lolling. I was supposed to meet Tor at the dens but couldn't bring myself to leave this peacful mood. I ran to Tor. "I love it here" I barked happily, "so much open space to run!" Ylva sniffs the air she scanted other wolves. she walks into the territory slowly. I could smell a strange wolf. I run toward it. "Why are you here, and who are you?" I ask calmly. Ylva looks at the he wolf with red marking. " im Ylva im looking for a pack". she said hoping to be accepted. I remembered a area I had to go through in the northern territrory. I thought if using it as an initiation. "You must first go through the Deadly Lands. Just north of here, I'll meet you at the end." I tell her. "ok " she goes north. I wasn't going to go until she was well on her way, it may take her a while. Ylva lays down tierd and went to sleep. I got back, and went off to find dens for the pack. I stumbled across a good size dugout. "No" I say as I walk past. "Maybe for beta or something." 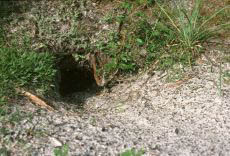 I soon come across a large den with several chambers. I dug the bottom chamber a little wider, and scent mark it. "Home" I said as I laid down. she turns over and falls into a deep sleep. I got up after I had had a short nap. I barked for Ylva, to come hunt. I headed in the direction I had scented a heard of elk earlier. Ylva wakes up and goes to Fenris she sniffs the air. I ran forward, I was much much taller, by almost a foot, than other wolves, so I was a extemely fast runner. I slowed and let Ylva catch up. I had never noticed my height difference, I thought Tor was just short. I looked down at the wolf, shocked at the difference. Ylva looks at the deer "stop" she says and starts to stalk the deer and bites a weak one. The deer escaped from Ylva's jaws, and I ran ahead of it. I stopped in front, a snarl escaping my jaws. I ran at it chasing it back to Ylva. I jumped on its flank, letting Ylva make the final kill. I Bite the deers neck hard killing it. I tear into the carcass, eating my fill and taking a chunk for Tor, I bark for Ylva to eat what she wanted then bring the rest to my den. Ylva starts to eat her fill then brings it to Fenris,s den . she lays out side just a few yerds away from his den. "Thank you" I say dragging it into a seperate chamber in my den to have the pack eat later. I dropped Tor's peice in front of her sleeping body. she falls into a deep sleep. I lay down next to Tor, looking over the new territory. I was tired the long journey here was harsh.